Even though that it’s months away, you still need to make all of the preparations you can so you can get the best care during your pregnancy. Additionally, you have many other things to plan ahead with for the baby’s arrival. You may already be thinking about how the baby’s nursery will look, and where it will be in your home. You may already be thinking about all of the baby furniture that you will need to purchase such as the crib, the bassinet, change table, rocking chair, and other accessories. Additionally, you may already be taking mental notes about how many diapers you need to have on hand before the baby arrives. You’ll be thinking about the clothing, sleepers, swaddling blankets, rattles, the crib mobile, the saucer, playpen, the high chair, diaper bags, strollers, bottles, breast pump if you plan to nurse, and all of the other baby accessories you will need. You may be wondering whether or not you will want to breastfeed, and at the same time, if you do want to breastfeed, you will also need to know about the best infant formulas around just in case it does not work out. And, if you know from the start that you do not plan to nurse your baby regardless of what others may say, then you will most definitely want to explore the best formulas and bottles around. It is great to think ahead to the time when your baby is about to arrive. However, as important as planning for your baby’s arrival is, since you found out that you are newly pregnant, you need to plan first for how you will manage your pregnancy and the kind of care you plan to have. You already know what foods to eat and what foods and drinks to avoid to limit. You already know about the supplements you need to take during your pregnancy such as your prenatal vitamins and folic acid supplements. And, you have plenty of tools to utilize that you can learn about online if you end up struggling with nausea and fatigue. 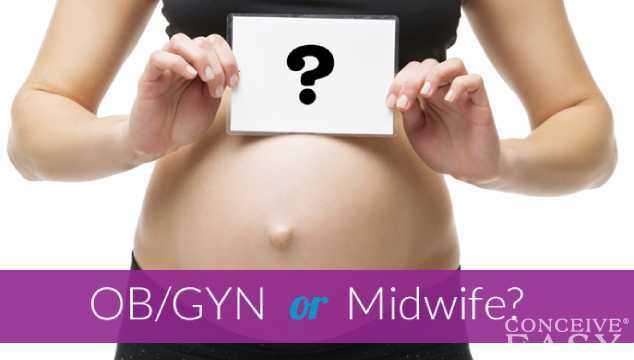 But have you thought about whether or not you want to be under the care of a midwife or an OBGYN during your pregnancy? This is really the first thing you must consider before you do anything else because your care provider will be the one who will give you the guidance you need during your pregnancy, and even during your postpartum period after delivery. That said, you may be leaning towards being under the care of a midwife instead of an OBGYN. And yet, you want to learn about if you do decide to have a midwife manage your care, what the pros and cons would be if you do not use an OBGYN. Many people really are not aware of all of the differences there are between midwives and OBGYNs. And, there are more than you would think. The term midwife comes from the Old English term for with women, and they are professionals that are certified and trained to help women stay healthy while they are pregnant and during their postpartum period. They also help women in labor manage it as well as they can. And, women who are not even looking to get pregnant sometimes seek out midwives to manage their care. Many women that are perimenopausal or postmenopausal seek out the help of a midwife to help them manage their symptoms based on hormonal changes that are happening at the time. Even teenage girls that have just entered puberty go to midwives to help them prepare themselves for the changes they will be going through. And, while a midwife would have a graduate degree, a certification, and a license to deliver babies, an OBGYN has finished medical school and has also received surgical training. That said, you would think that most pregnant women would rather jump at being under the care of an OBGYN instead of a midwife, but that is not always the case. Because just like with anything in life, there are pros and cons of being under the care of a midwife instead of an OBGYN. They use a holistic approach to prenatal care – For women that prefer to use natural and holistic approaches, a midwife is a perfect fit for that because that is how they provide care. And, midwives will always include modern medicine in their practices such as fetal monitoring which is necessary. They give more one on one time – Midwives will spend a lot more time with pregnant women giving them their undivided attention with the guidance that they need in order to help them manage their pregnancies. OBGYNs spend a lot less time with their pregnant patients and only spend enough time to monitor their pregnancies. 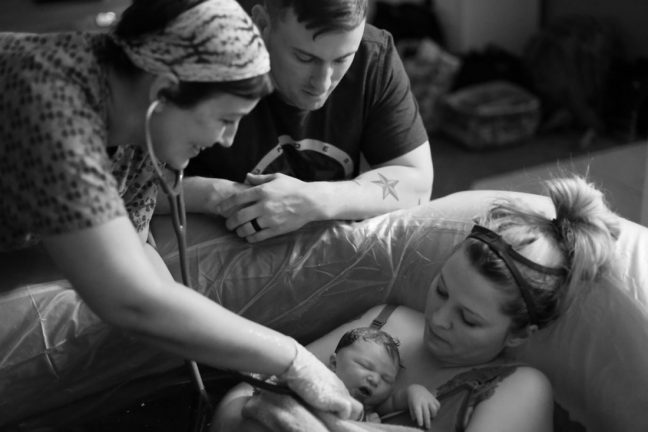 With a midwife, there is a more personal approach to the give they give. This is important to a lot of women since they are treated like a person instead of a number, which they often feel when they are under the care of an OBGYN. They will give them the advice they need based on nutrition, prenatal activities (or activities in general), they will give them guidance on what is safe to do and what is not safe do during pregnancy, and more! They deliver hands-on support at all stages of their pregnancies and thereafter – Midwives are known to provide a more hands-on approach during a pregnancy, during the labor, and during the postpartum period. This is quite important for a lot of women since they know they will be getting a lot of care by a midwife during these periods. An OBGYN will not provide a hands-on approach most of the time. Women’s wellness is the focus – Midwives focus on women’s health and are frequently sought out by women that are looking to get pregnant as well. That said, midwives can give excellent guidance to women that are wanting to conceive, as well as during and after the pregnancies. The care of a midwife is more affordable – The fact of the matter is, in the USA, going to an OBGYN can be costly. Especially if you don’t have the insurance to cover a lot of the costs of each OBGYN visit. For a midwife, the costs are a lot more manageable. This is actually one of the reasons that more women use midwives in the USA than they do in countries that provide universal healthcare. In countries such as Canada, the UK, Australia, and New Zealand, pregnant women decide to be under the care of an OBGYN instead of a midwife because the costs are covered by tax money. Midwives will help with home births – Many women want to give birth at home, and as long as they live near a hospital just in case a complication were to come up, then the midwife would take the mother and newborn to the hospital right away. OBGYNs do not provide home births as all births happen in hospitals or birthing centers when any woman is under the care of an OBGYN. Midwives will also deliver babies in birthing centers and in hospitals. And, these pros are quite convincing to women who are thinking about using a midwife to help care and manage their pregnancies. However, as mentioned before, just like with anything in life in general, there are also cons when it comes to using a midwife instead of an OBGYN. They are not surgeons and cannot help when it comes to C- section deliveries – Midwives do not have the license to perform a C- section. Only OBGYNs can, and the most that they can do is if a midwife is helping to deliver a baby that will require a C-section is make sure that there is an OBGYN or even a medical doctor around to do the job. Midwives can most definitely stay in the room during the procedure though. Midwives cannot help women with high-risk pregnancies – If a woman hires a midwife to manage her pregnancy at first, but ends up developing complications during her pregnancy, a midwife cannot continue to treat her. if she develops conditions such as hyperemesis gravidarum which will require frequent hospitalizations due to the need for IV fluids on a daily basis, or gestational diabetes, or preeclampsia, the care will have to be managed by an OBGYN that can help women that have pregnancy-related complications. That also means that midwives cannot help pregnant that are pregnant with multiples such as twins, triplets, or more. That in itself is considered a high-risk pregnancy even if the pregnancy ends up going well and is unusually easy. Their availability is not great – Many midwives are not available so readily in many hospitals or in many community settings to provide the services that they offer. Their field of expertise is not trusted – Even though there are many women who prefer to be under the care of a midwife, there are plenty of others that dismiss them and immediately go under the care of an OBGYN. This especially applies to those who don’t believe in holistic medicine. Additionally, many people may not be familiar with the care by a midwife would involve. Some insurance plans will not reimburse patients cared for by midwives – Even though it was already mentioned in the pro section that the care by midwives are less costly than being under the care of an OBGYN – some insurance plans will not reimburse you if you have appointments with the midwife outside of the hospital like at home. With that said, this is why it is important that you check with your insurance company if you are looking to have your prenatal care monitored by a midwife. You need to make sure that they will cover the costs of a midwife’s care regardless of where it is taking place. If you find that your insurance will cover the costs of OBGYN visits and care but will not cover all of the care that is given by a midwife, then you are going to be better off with using an OBGYN. And, the other thing you can do is that you can switch from going to a midwife to an OBGYN if you prefer that. If you don’t feel that being under the care of a midwife is the right fit after having a few sessions, you can always make the switch. It is not written in stone that you have to stick to using the midwife throughout the rest of your pregnancy. It is predicted over the next few decades that there will be a shortage of OBGYNs in the USA, and that means that the use of midwives will increase. This may also mean that midwives may have to start becoming licensed to do C -sections and to manage high-risk pregnancies if this does end up happening. And, if not, then women with high-risk pregnancies will end up having received their care by OBGYNs in other countries if this prediction is indeed accurate. Before you panic, be aware that this is pure speculation. There may not be that much of a shortage, and maybe more general practitioners will work with midwives if a shortage does happen in order to help them manage high-risk pregnancies that will end up needing a C- section delivery. But, don’t let this speculation worry you at all. Just weigh the pros and cons of using a midwife to manage your prenatal care carefully, and you can make a decision based on that.